Gotta say, of all the tournament hashtags that come up, #SHOTime has to be the best. But with gas prices being so low, I wonder how much longer Shell will be able to sponsor the tournament. Joke. Kind of unfortunate that the tournament is best known for being the week before the Masters, but it’ll be worthwhile to watch either way, if only to tide yourself over until the first major of the year rolls around next week! Mood music time. I hope people realize that these songs don’t exactly have to do with golf. At all. But they’re catchy enough to post. 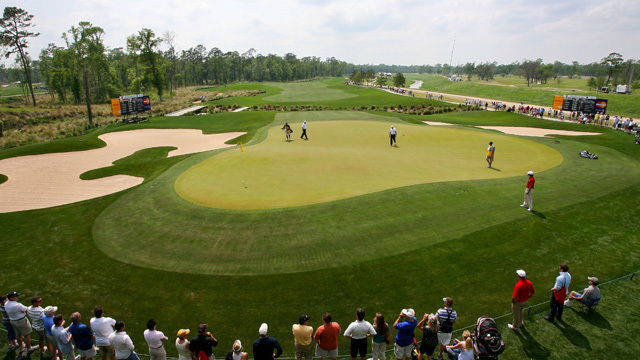 The Golf Club of Houston (formerly Redstone Golf Club) will host the Shell Houston Open as the lead in to the Masters for the 10th strait year. The 7,441 yard par 72 layout is Texas sized. Big fairways, a couple big lakes, and big greens that look kind of silly when they tuck a flagstick two steps from the edge. 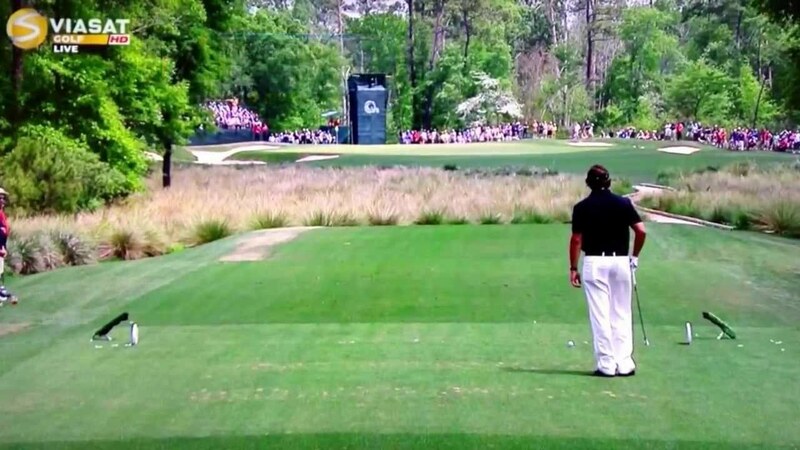 Why all that wasted green, Phil? So much room for activities not near where that flagstick is. The other thing nice thing tournament committee does for the players is try to set up the course to mimic, as best it can obviously Augusta National. In this case, that just means shaving the rough around the fairways and greens (see above for an example), and have the greens running as quick as the overseeded grass can be cut. Unfortunately, the course is as flat as you think Texas is so players aren’t going to get those giant sidehill lies that Augusta National has all over the course. But then again, pretty much no course has that. 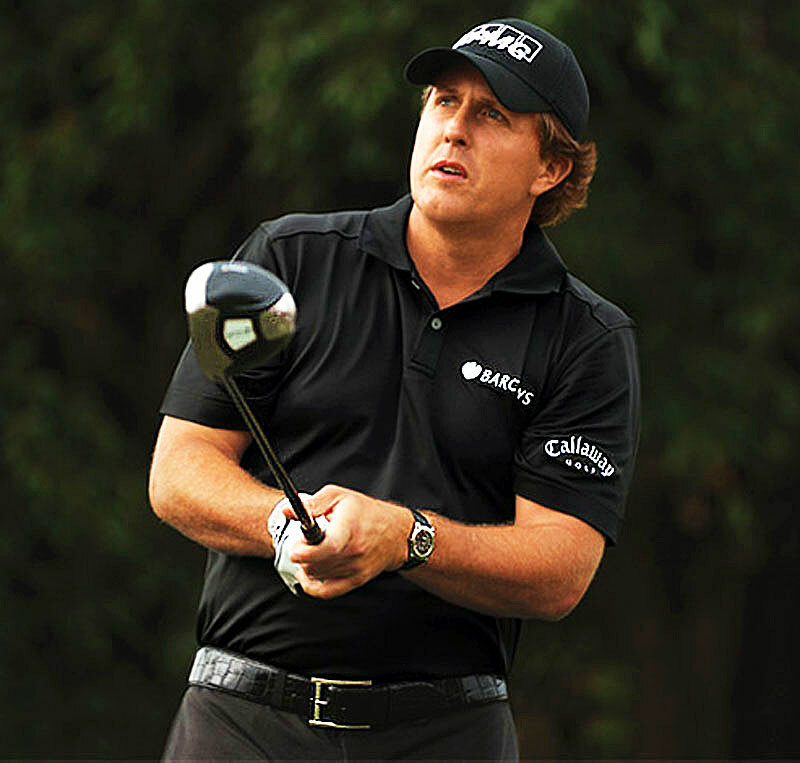 After getting crushstomped (one word) on by Patrick Reed, Phil will tee it up in Houston for his normal Major prep. For those who don’t know, Phil is quite famous for his habit of playing the week before a major. While many players prefer to rest up and get to the major course a few days early (aka TDubs), Phil believes that he preps best by playing tournament rounds. I’m inclined to agree with him in this aspect. Especially at the Masters where he’s won 3 times already, and knows the course as well as he knows Bones’s leg hair. Also, did you know that Phil wears a Rolex, but only when he’s playing? Gotta get that endorsement money. Remember when I just said that Phil would be a top player to watch? Turns out there are more of the top Americans in the field playing right before the Masters. I’m talking Jordan and Rickie. I’m guessing that after getting destroyed at the Match Play (zero players from the US in the final 4), these Americans realized that they need to figure something out before the Masters starts, and the #SHO will be their last chance. Jordan is in an interesting spot too here, not playing poorly of recent, but not really playing like the number one player in the world. Which now is reasonable because he’s no longer the number one player in the world after Jason Day’s two consecutive wins knocked Spieth out of the top spot. He’ll be there, and you can remember him for the time he made a hole in one, and then straight up lost to his caddie in a race from the tee area to the green. A caddie who was carrying his giant, oversized, filled with heavy golf crap, tour bag while running. Never change Patrick. Because of the shaved rough, hitting the fairways pretty much doesn’t matter at all at the GCoH. 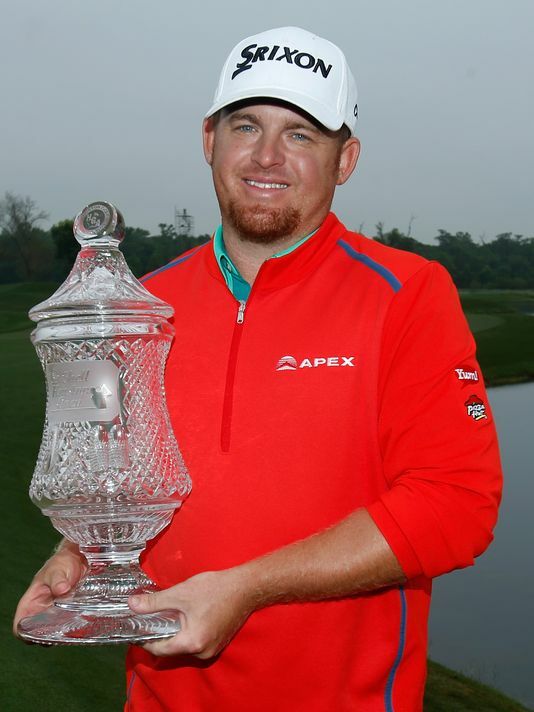 Defending champ JB Holmes won last year while hitting the fewest fairways of anyone who made the cut. And he wasn’t even the first person to manage that feat with Anthony Kim (remember him?) winning without hitting fairways back in 2010. Look at that #SHOTime winning smile. Imagine that, just being able to rip driver and not caring where it ends up, and still winning. Just goes along with my unproven theory that the only two stats that matter in golf are driving distance and some stat like scrambling. But basically, the closer you are to the hole, the easier it is to hit it close. And this tournament illustrates that perfectly. Still want to play in the Masters? Win this week and you’re in. Win and you’re in always adds some fun to a hopefully dramatic Sunday on the PGA Tour. Maybe we’ll get lucky and have some guys battling for a spot at Augusta at the end of the week.